Only one team advanced to the Turkish Airlines Euroleague Final Four this season without the benefit of home-court advantage when the playoffs started. That same team is the only one that survived after losing Game 1. Both accomplishments are highly unusual, but that team, Olympiacos Piraeus, had a secret weapon in forward Georgios Printezis, who is Euroleague Basketball's choice as bwin MVP for April. Printezis, of course, has made it a habit in his career to come up big in the most important moments. Already a hero at Olympiacos for hitting the trophy-winning shot to start his boyhood club's back-to-back Euroleague titles in 2012 and 2013, Printezis rose to the challenge in these playoffs, too, to send the Reds back to the Final Four this spring. With his team's back against the wall, Printezis had the single best performance of his Euroleague career in the series-changing Game 2 road win against FC Barcelona, was his team's top scorer in a tense Game 3 thriller at home and outdid himself with an unforgettable buzzer-beating, series-clinching three-pointer to end an electric Game 4. In a decade's worth of Euroleague playoffs series before this season, just six teams out of 40 series lost Game 1 and still advanced. Likewise, before Olympiacos this season, just eight teams without home-court advantage to start the playoffs survived. The role of Printezis in putting Olympiacos in those exclusive groups cannot be overstated. His outsize performances in three consecutive wins over mighty Barcelona made Printezis a slam-dunk choice for bwin MVP for April. The bwin MVP of the Month honor is now in its 11th season. Although statistics and performance index ratings are taken into consideration for the award, they alone do not determine who is honored. 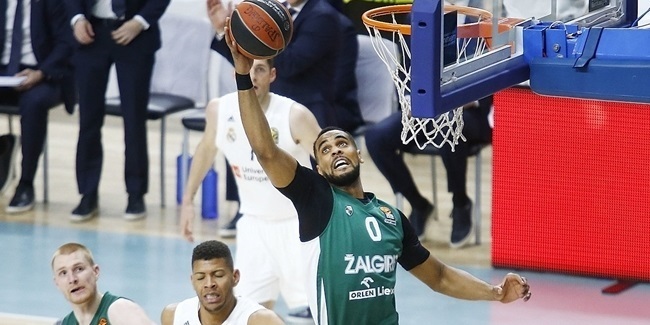 The winner is named by Euroleague Basketball based on his and his team's performance. The award for April was based on the final two Top 16 games of the season and the playoffs. Euroleague Basketball partner bwin is the sponsor of the MVP of the Month award. Just as the best Euroleague player each month combines performance and leadership for success, so does bwin's sponsorship communicate its conviction to be the best betting brand in European basketball. Olympiacos entered April in third place in Top 16 Group F, but trailed the group’s co-leaders by just one win. After beating CSKA Moscow at home earlier in the season, the Reds went to the Russian capital knowing a win would give it control of its destiny. Printezis kept his team in it with 16 points and 7 fouls drawn. Even though Olympiacos trailed by just 2 points through three quarters, it was unable to overcome CSKA late and lost 76-70. Top 16 Round 14’s game effectively became for protocol only, but Printezis still played hard and totaled 12 points and 7 rebounds in just 21 minutes of a 77-70 victory that sent the Reds into the playoffs with a 10-4 record. Barcelona went into the playoffs having won four straight and eight of its last nine games against Olympiacos and with a 7-0 record against Olympiacos at home. After Barcelona’s 73-57 Game 1 victory, things did not look good for Printezis and Co. But in Game 2, he took charge early, scored 9 second-quarter points to help the Reds to a 25-35 halftime lead. They never let up en route to a 63-76 road win to tie the series and bring the home-court advantage to Piraeus. 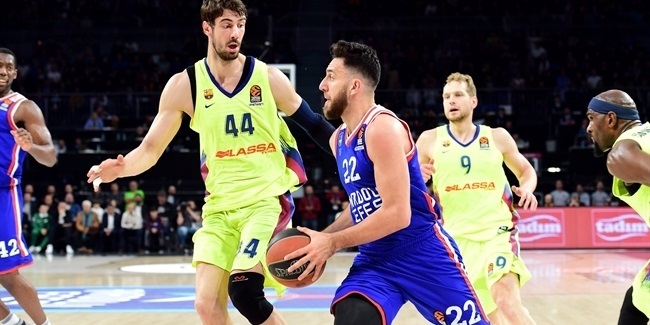 Printezis finished with 22 points and 9 rebounds, set his Euroleague career high with a performance index rating of 34 and earned bwin MVP honors for Playoffs Game 2. Back home at Peace and Friendship Stadium for Game 3, Printezis’s put-back at the end of the third quarter made it 59-60. He then added 8 more points in the final quarter to push the Reds to a 73-71 victory, in which his free throw was the final point. Printezis finished with 19 points, 4 rebounds, 1 steal and 1 block. Game 4 may not have been his best, but Printezis made sure every basket counted. Twice he put Olympiacos ahead in the fourth quarter and when the ball reached him with the game on the line, he didn’t think twice and drained a three-pointer that will go down in club history. Printezis’s Game 4 line showed 14 points, 3 rebounds and 6 fouls drawn. Printezis averaged 14.5 points on 60% two-point shooting, 5.2 rebounds and a performance index rating of 16.8 in six April games. But where he most impressed were Olympiacos’s three victories in the playoffs. There his numbers jumped to 18.3 points on 70.8% shooting, 5.3 rebounds and an averaged performance index rating of 22 - truly clutch numbers! 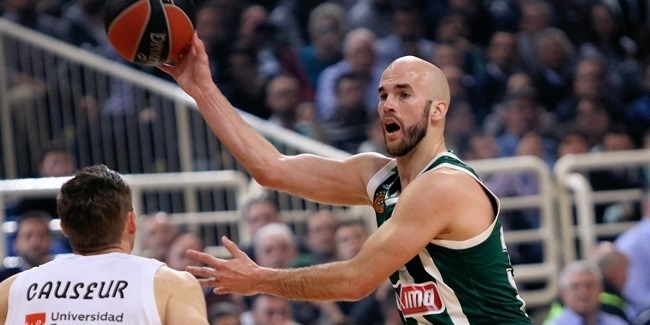 Printezis has played his entire professional career at Olympiacos except for one season on loan at Olympia Larissa and a season and a half in Spain with Unicaja Malaga. This marks his first bwin MVP of the Month award, something that his fans can celebrate when Printezis receives it in a familiar setting for them, the Final Four!